Victory!!! Race for Courage has just come back from an extraordinary marathon weekend in Miami, Florida. 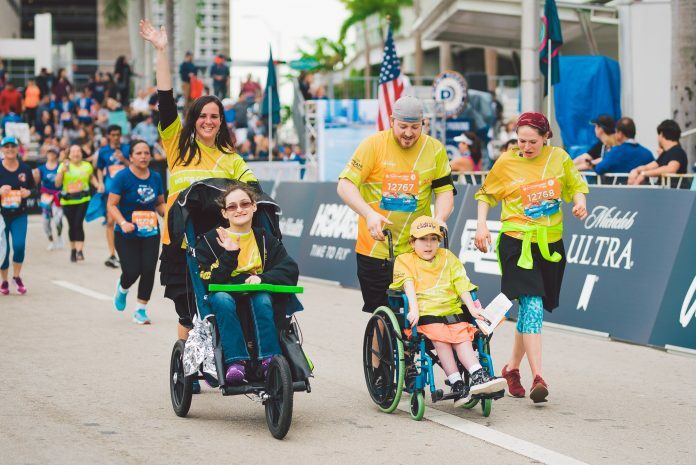 Over 100 people and 50 runners joined Team Courage for the Miami Marathon and Half Marathon, raising over $250,000 for Kids Of Courage! For the last decade, Kids Of Courage has been providing adventures to children with serious illnesses and medical conditions. These adventures are the opportunity to experience travel, joy, and exciting journeys across the U.S. With a fully equipped medical staff and group of volunteers, K.O.C. conducts various events throughout the year in a fun and safe environment. This year’s 2019 marathon was only a fraction of the remarkable adventures that K.O.C. provides. The weekend began on Thursday, January 24, with the arrival of the entire Race for Courage team. Couragers, staff members, families, friends, and individuals from around the country landed in Ft. Lauderdale and Miami airports to kick off what was an adventurous weekend with Kids of Courage. The program included direct flights and fully catered meals, an inspiring Shabbos featuring speeches by Couragers and parents, beautiful tefillos, custom K.O.C. gear, and, of course, Team Courage’s famous pasta party on motzaei Shabbos. By 5:00 a.m. Sunday morning, Team Courage was at the starting line to begin the marathon. What a win it was! Watching the K.O.C. campers in the race was the real highlight. Wheelchairs and carriages flooded the crowd, and runners were amazed by the mission of this unique organization. “Kids Of Courage is here to include their campers in an attainable experience, where they can be just like the rest of us — whether walking, running, or wheeling to the finish line,” said Race for Courage Coach Moishie Gamss. 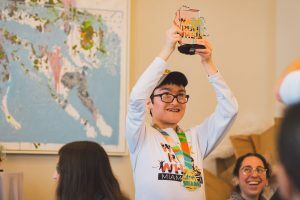 After the marathon, Team Courage got together one last time for a victory barbecue and awards ceremony, where customized trophies were given out to the top fundraisers. 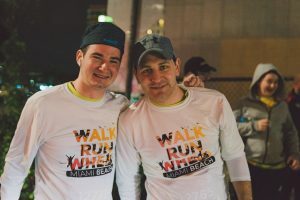 Race for Courage Miami was an incredible success not only because of the racers, but also due to the hard work and dedication of the incredible team of volunteers. Huge thanks to the special crew that made it happen, and all of our sponsors: 718Insurance, Brenda’s, Chera Foundation, Cross River, Junees, Junees Jr., Meridian Capital Group, LLC, and Wharton Properties/Jeff Sutton. 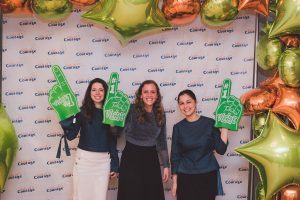 As Kids Of Courage is entirely volunteer-based, the funds raised from the marathon will go directly toward the 2019 roster — including K.O.C.’s ski trip, summer adventure, Shabbatonim, and all the events in between. See you at Miami Marathon 2020! For more information about Kids of Courage or to make a donation, please visit KidsOC.org. Yay!